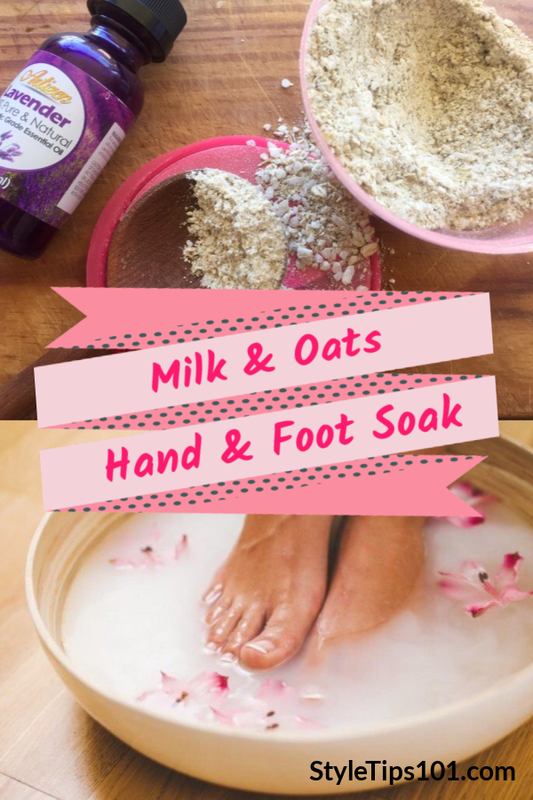 For soft, smooth hands and feet, try this soothing milk & oats hand and foot soak! I love hot oatmeal with milk and brown sugar in the morning. But this tasty, wholesome combination doesn’t have to be just a breakfast item. It also makes for a great way to nourish dried, cracked skin particularly on hands and feet. And, with just three basic ingredients, this is all too easy to throw together and enjoy while watching a tv show or listening to music. Although milk (and dairy in general) has been getting some bad press lately as to whether or not we should be drinking it, it still stands as a tried and true topical remedy for a multiple number of skin ailments including sunburns, rashes, itchiness and irritation, darkened skin and premature aging. The lactic acid dissolves dead skin cells while moisturizing and lightening brown spots and sun damaged areas and the proteins help firm the skin and reduce wrinkles by boosting collagen. 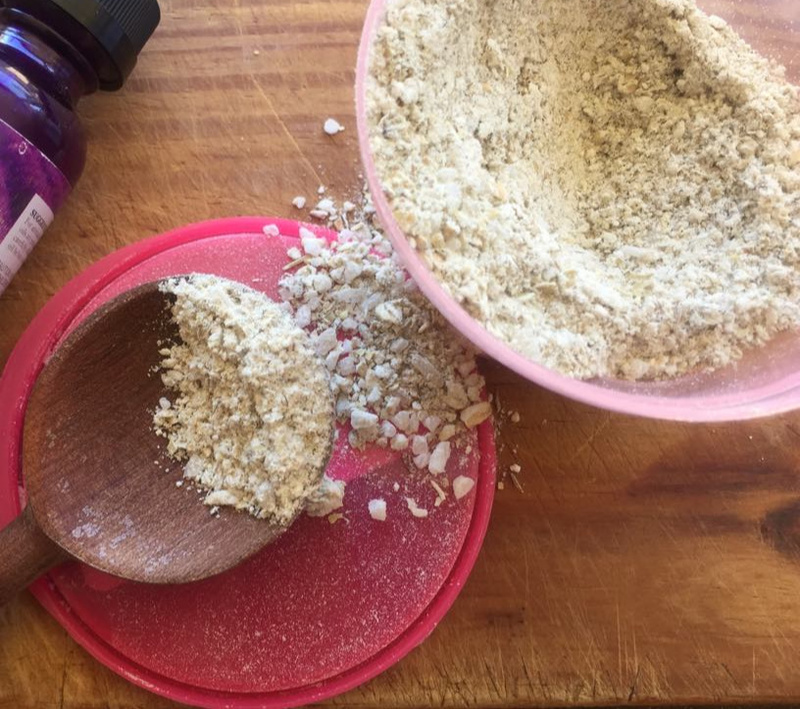 Oats are antioxidant and anti-inflammatory which aid in soothing dry, irritated skin while exfoliating and leaving skin nourished and rejuvenated. 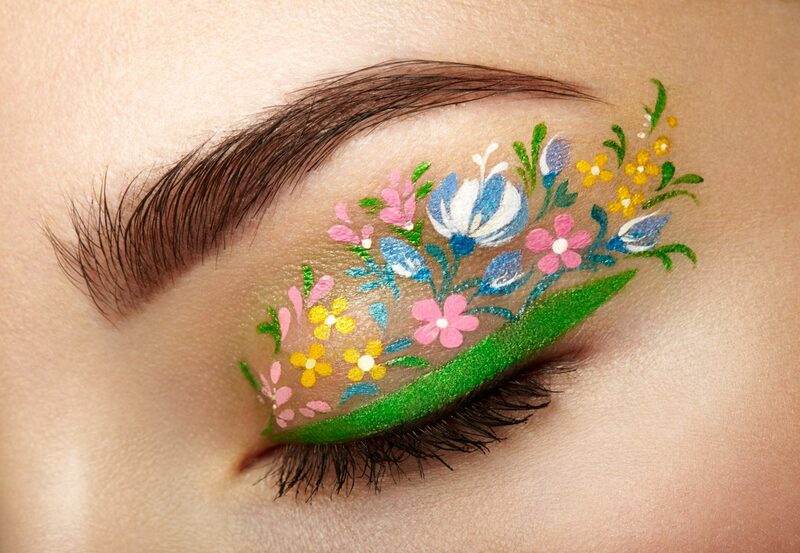 Oats also contain saponins, a compound that removes dirt and unclogs pores. Vanilla further promotes healthy skin and is aromatically yummy! First, pour the milk in a saucepan and heat on low for a couple of minutes. Don’t let the milk come to a boil as that will deplete some of the vital vitamins, instead just warm the milk to a comfortable temperature for yourself. Then, combine the milk, oats and vanilla in a bowl large enough to fully submerge both hands or both feet. 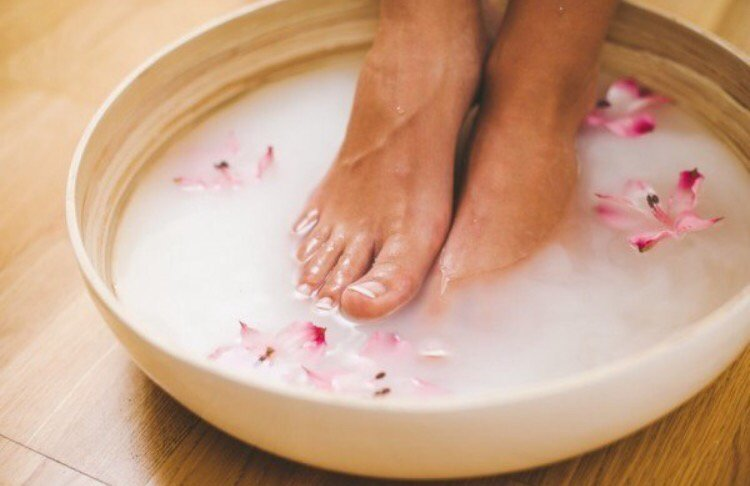 Allow hands or feet to soak for 15 minutes. For hands, it is beneficial to rub hands together during this time for a more thorough exfoliation. 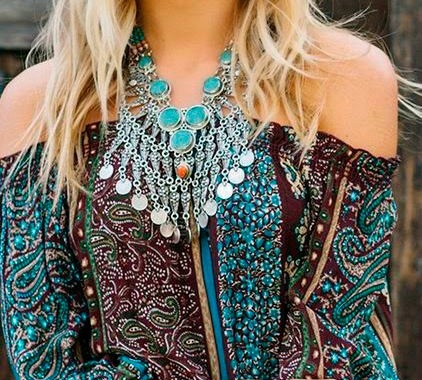 After soaking, rinse with warm water and moisturize with a natural oil such as almond or jojoba.